Don't get me wrong, this is absolutely one of my favourite Victorian paintings, let alone one by G F Watts, and no illustration online or in a book can do it the justice that standing in front of it can offer. 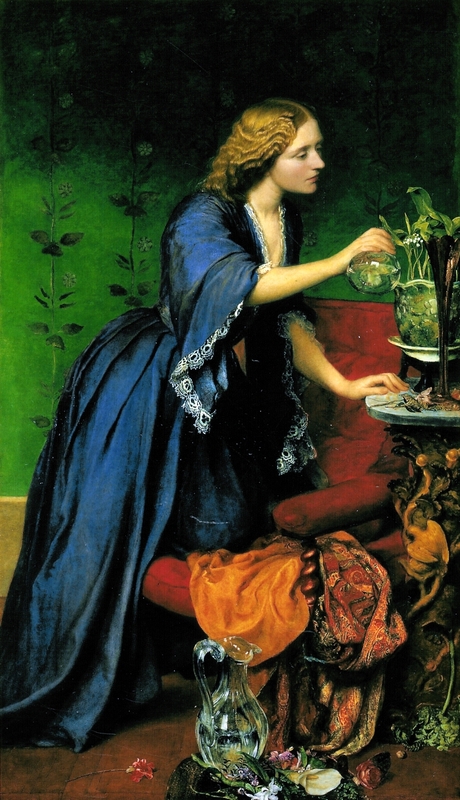 It is luminous and glorious and thoroughly wonderful, but what does it say about the woman who, after all, was the inspiration for Dorothea in George Elliott's Middlemarch? One of the most striking aspects of Watts portrait is that satin-y, crinkled golden hair and here it is again. Apparently, this was a bit of a controversial image when it was displayed, with the viewer feeling a little uncomfortable at the sight of a middle-class woman holding her arms out to a large, muscle-y fireman with no husband in sight. However, here again is the sight of the passive Jeanie, this time a damsel in distress at the mercy of the elements and relying on a burly gent to sort her life out (chance would be a fine thing). Mind you, in the 1850s Jane Senior had not achieved the works that we know her for today. Also, her husband's career was not sparkling nor particularly lucrative and in the 1860s they lived in Battersea, Elm House, which they afforded through Jeanie's money rather than her husband's earnings through his involvement in his brother's wine business, as well as the money from her mother who lived with them. The marriage was apparently not a happy one, so maybe the idea of being rescued by a large man in uniform seemed a jolly fine idea. But then Jeanie was rather more useful than that. As Anny Ritchie wrote in From the Porch (1913) 'Stately and charming people used to assemble at Elm House. It is an odd saying that people of a certain stamp attract each other. It was a really remarkable assemblage of accomplished and beautiful women who were in the habit of coming there, that home so bare, so simple yet so luxurious.' Interestingly from this description it is easy to suspect that it was intentional minimalism on the decor front, yet something drew people to Elm House, and that was Jane Senior. Even without her later (and sadly cut short) achievements, her list of friends hints at a woman with intelligence, wit and more than just the beauty which was captured in Watts' work as well as images by Millais and Julia Margaret Cameron. Possibly it was her own uncertain financial situation that made her interested in those in more dire straights than herself. In 1870, she was involved in gathering aid for the victims of the Franco-Prussian war, instrumental in the National Society for Aid to Sick and Wounded in War, which would later become the British Red Cross, for which she received the Red Cross medal. 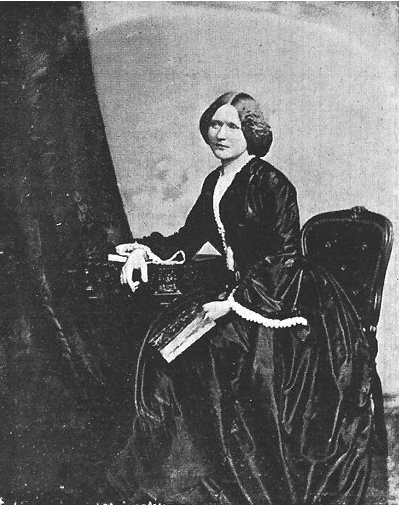 She became Assistant Inspector of Workhouses in 1873, for which she wrote a report and this work led her to produce writings on the lives of girls living in poverty. In 1875, she was a co-founder of the Girl's Friendly Society and then a co-founder of MABYS, but by this point she was suffering from the cancer that would kill her in 1877, aged only 48. In Watt's portrait, Jeanie is bending over her flowers, watering the lily of the valley plant growing from the ornate pot. Lily of the Valley, in the Victorian language of flowers, represented the return of happiness, but as Mrs Senior had been married for 10 years by this point, and not happily, it would seem that would be an odd meaning to apply. There are cut, discarded flowers scattered around the floor including other lilies - I wonder if he wanted to imply that Jeanie had the sort of nature that made her continue to nurture while others destroyed? That she could not help but to tend her blossoms despite the doomed nature of them? Could it possibly be a comment on her marriage? 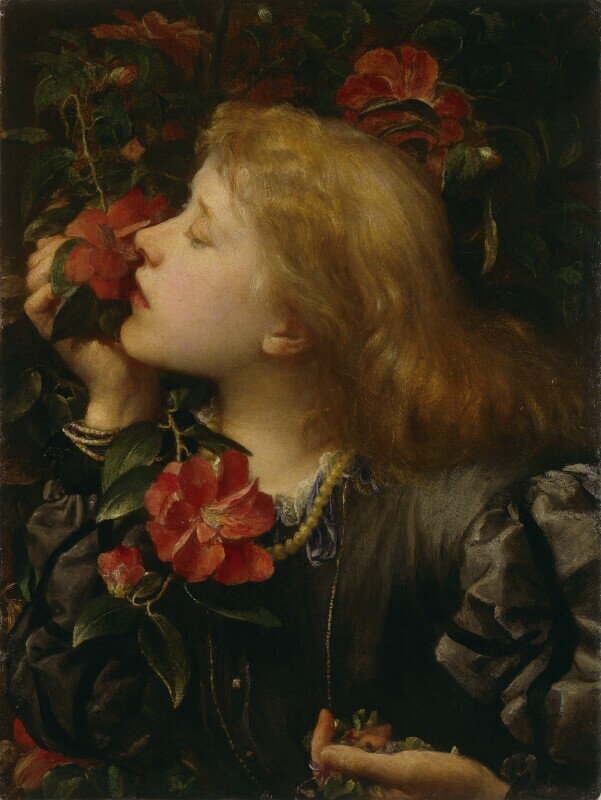 Watts had used flowers in an arguably slightly less symbolic way in his portrait of Ellen Terry - she doesn't realise that the fragrance comes from the modest violets rather than the showy camellias implying Ellen is attracted to the showy rather than appreciating the quality. Mind you, was he saying that she held love and faithfulness in one hand, while holding the camellia which represented 'my destiny is in your hand'? Watts was a very close friend of Jane Senior. I looked in Mary Watts' diary for mention of Jane, and on Saturday 2 July 1887 Mary wrote that she and her husband spent a happy morning looking over scrap books of his early sketches arranged by Jane Senior. Watts declared that the scrapbooks were good specifically because Jane Senior had arranged them. In her two-volume biography of her husband, Jane Senior gets more of a look in, with an interesting assertion that Watts had been drawn to Jane because of her 'bright and spontaneous out-of-doors nature', but seeing as Watts was not exactly the vigorous man of the countryside, this seem a bit doubtful. 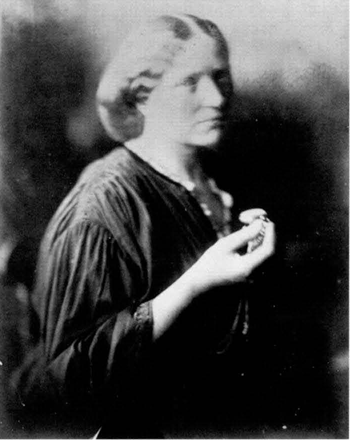 Jane was a regular at Little Holland House (probably where she met Julia Margaret Cameron, and why she travelled to the Isle of Wight when she became ill) and although we now see the portrait of Jane Senior as being the portrait of a great campaigner and philanthropist, it isn't. When that painting was created, Jane Senior was a young woman in an unhappy marriage, but she was also a bright woman, the woman who had the great work of her later life inside her. Reading through the letters between Watts and Jane quoted in Mary Watt's biography, you get the idea of a woman who is involved in the social and cultural life of Little Holland House and that social circle is enlivened by her attendance. 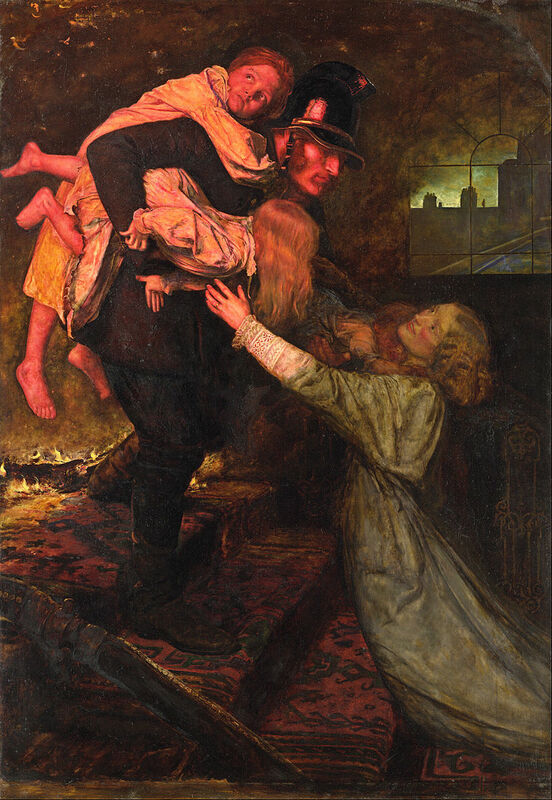 Maybe then the point is this - the portrait Watts did of Jane Senior is not a portrait of the first female civil servant, the owner of a Red Cross Medal, the co-founder of charitable societies. It's a portrait of his friend.